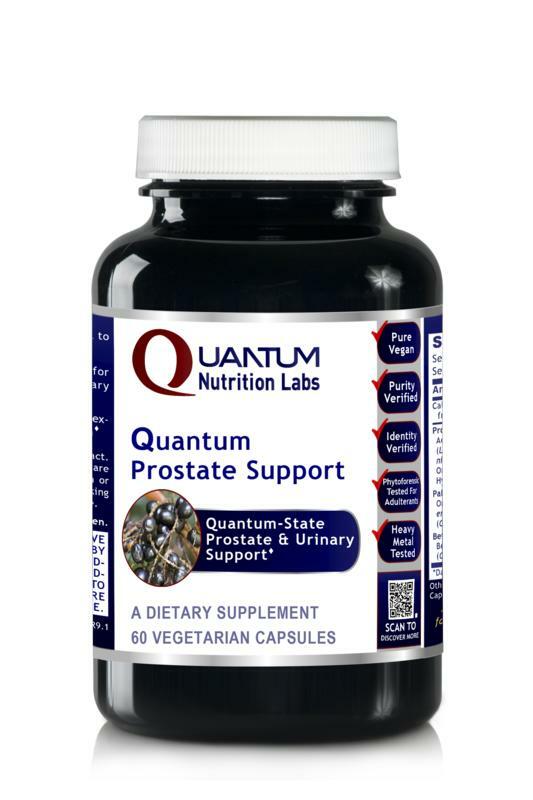 Our quantum-state prostate formula features three key blends (Prosta-Pro Blend, Prosta-Pro Cleanse and Resvera-Pro) that provide exceptional support for the prostate gland, including urinary tract health. Our quantum-state prostate formula features three key blends (Prosta-Pro Blend™, Prosta-Pro Cleanse™ and Resvera-Pro™) that provide exceptional support for the prostate gland, including urinary tract health. Vegetable cellulose capsule, contains soy (natto is traditionally made with fermented, non-gmo soy). 60 caps, Prosta-Pro Blend each - 260 mg, Nettle (leaf) (Urtica dioica) Prosta-Pro Cleanse - each 130 mg, Resvera-Pro each 75 mg.